The P-6831FX produced excellent scores in all of our gaming related benchmarks. Not even the Dell XPS M1730 with its dual GeForce 8700M GT's in SLI could outperform the single GeForce 8800M GTS powering the P-6831FX. Though Dell has since upgraded the M1730 with dual GeForce 8800M GPUs as well. It is obvious that the P-6831FX's performance is bottlenecked by the low-end processor, but it still managed to produce amazing benchmark scores in our gaming tests. 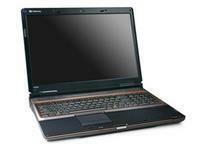 None of the other the mid-range notebooks in our test came close to the P-6831FX when it came to gaming. Unfortunately the picture is quite different in productivity and CPU intensive tasks. It was easily outclassed in nearly every module of PCMark Vantage and performance in 3DMar06's CPU module was also quite poor. Bought this bad boy at Best Buy, last one they had and I just had to jump on it for the price. Two weeks in, and this is still a very solid machine... still works perfectly and there are no glaring issues with the build quality... and I have been moving it around a lot in the past two weeks, and even dropped it one time! If you really want to buy a gaming notebook but don't want to spend several thousand like many of the PC companies would like you to do, the Gateway P-6831FX is an option for those needing high caliber graphics without the price. The system is well suited to other general purpose tasks but gamers will likely get the most out of it. Gateway’s budget gaming rig offers outstanding performance for a very attractive price. It’s hard not to be impressed by the gaming capabilities of the Gateway P-6831FX, and its large screen size and HDMI port make it a good choice for multimedia fans too. It held up remarkably well on our gaming tests, even against its more expensive sibling. For gamers on a budget, you won’t find a better performing rig for the money. 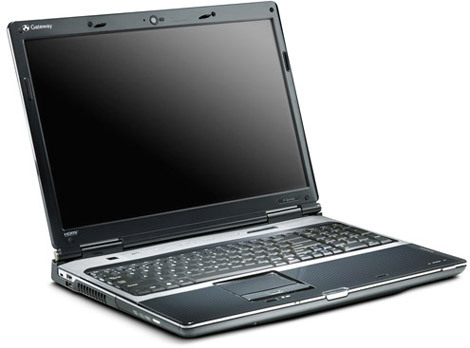 The good: One of the lowest-priced laptops with Nividia's GeForce 8800 graphics card; includes 3GB of RAM, HDMI, and eSATA ports. The bad: Not configurable; lower screen resolution than Gateway's high-end model; underpowered processor; frequent price changes. 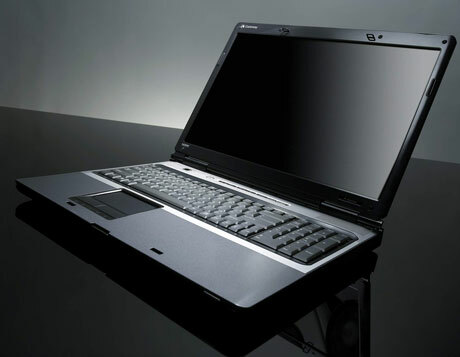 The bottom line: We loved the pitch for the Gateway P-6831 FX: a 17-inch laptop with 3GB of RAM and Nividia's GeForce 8800 graphics card for only $1,350. But keep an eye on price changes to get the best deal. Seeing this kind of performance from an attractive and upgradable $1,400 notebook should make the boutique notebook makers more than a little nervous. Especially considering that it can run cicles around many of last year's SLI notebooks even with its lowly processor. If this notebook was completely closed, with major components soldered on, at this price it would still be a good deal. But Gateway is offering so much more. The CPU is upgradable. Extra mini-PCIe and Hard Drive bays sit empty, waiting for you to fill them with some future goodness. And peering deep into the FX's innards, I could faintly see another socket exactly where I expect the GPU to be - so there might be some pleasant surprises for the more adventurous hardware tweaker. In short, this is a notebook that should see even an avid gamer get two years of use from. Consider the rapid pace of game development and you will appreciate the compliment.